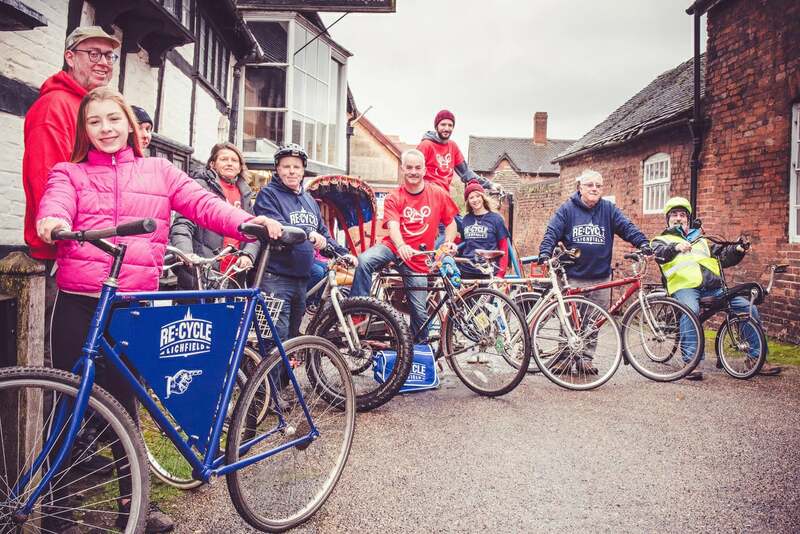 Our volunteer run project based in Lichfield helps people become more confident about riding, maintaining and repairing their bikes and provides used bikes on free long term loan for those who otherwise might not be able to afford to buy one. We have our own city centre workshop space at Minster Hall off Dam Street. We hold confidence building rides and social events and work with anybody who would like to cycle more. We receive donations of used bikes and parts and our volunteers work to get them ready for use again. We try to find the right home for the right bike. If you would like to volunteer your time, want to donate something to the project or are looking for a bike or support to enable you to cycle, please get in touch.